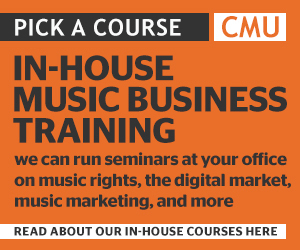 Pathways Into Music is a new music education consultancy led by artist manager and educator Phil Nelson and CMU founder and journalist Chris Cooke. We undertake research and offer resources, events and training. We bring together music educators, music employers, policy-makers and the wider music community to create a stronger link between music education and music careers and to demonstrate the value of music participation. We are now looking for industry partners to provide insights, information and contacts for our research; sponsorship and funding for our research and events; and promotion and piloting opportunities for our training. Pathways Into Music is leading on ‘Redefining Music Education’, a major research project launched in 2018 that is classifying and mapping music education in the UK region by region, and documenting career paths and skill-sets to assess the link between music education and music careers. A key output of our research will be a series of resources – available directly and via partners – to help educators, industry, parents and those with a passion for music to navigate and understand music education provision and music career options: which is to say the different pathways into music. Our research will also inform a series of events – and sessions at partner events – exploring and discussing current trends, best practice and public policy in and on music education, including an annual full-day conference for music educators, employers and practitioners in Brighton each May. Pathways Into Music is also developing a series of seminars and teaching materials to help those educating, advising and supporting new music talent, so that they are able to fully understand and explain the business of music today, different music career routes and the various pathways into music. Pathways Into Music is a new music education consultancy that brings together music educators, music employers, policy-makers and the wider music community. We seek to create a stronger link between music education and music careers - and to demonstrate the value of music participation - through a combination of research, resources, events and training.